It’s hot today in London. I wish I was sitting along the water, dipping my toes while reading a book. 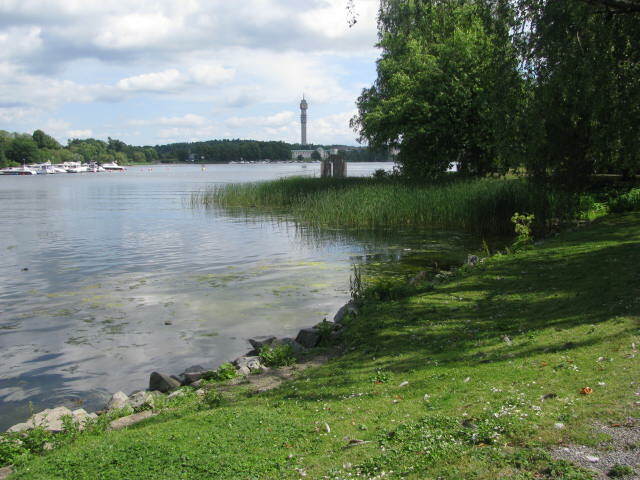 This photo was taken during a visit to Djurgarden, one of Stockholm’s islands. This entry was posted in Travel Photos and tagged 50 Year Project, Boats, Djurgarden, Hot Weather, Life, London, Nature, Photography, Stockholm, Sweden, Travel, Travel Blog, Travel Journal, Travel Photo. Bookmark the permalink. I was getting used to the idea that summer wasn’t going to come. And then it surprised me. Unfortunately I saw that it is supposed to rain next week–not good for the Olympics. Sweden is so pretty. We went there on vacation a long time ago. Up in the mountains… it was just beautiful. I agree with you…it is a lovely place to visit. I only wish I had more time there. I really want to go to Stockholm so I’m looking forward to reading your post about it. I loved Stockholm. The beauty there blew me away! It looks beautiful there. This would make the perfect spot to settle in with a good book. Yes. A good book, some cheese, and wine–sounds like the perfect way to spend a day. Yayyyy, you finally got some warm weather :). I think you guys experience much colder weather and snow than we do. For your sake, I hope it stays warm. Don’t really want to dip your toes in the Thames, huh? Hope you get to share in some of the Olympic spirit, and not the Olympic headaches. I think there are places where I can dip my toes in the Thames. I’ll have to look into that. I’m not too affected by the Olympic headaches since I work from home. I feel for the people who have to work and deal with the traffic and such. It is summer in Sweden. I was surprised by how warm it got there. I always think of sweaters when I think of Sweden. I hope you get your rain. I do that a lot Francine. I stare at photos or remember places and pretend I was still there. That’s one of the best parts of traveling, the memories. What a nice image – dipping toes into the cool water! Great photo! I could find some relaxation there.